Harper was just put on the block - do I make an offer? Harper owner in my league just placed him on the block, so I make an offer? my keepers are currently Trout, Machado, Betts, Acuna but also have Goldy. do I offer Goldy and Acuna for Harper or do we think Acuna is gonna end up better or equivalent? Interests:Beach,Beach. Oh yea did I mention the Beach? After his first half I would try to buy low. Goldy and Acuna is to high IMO. I would try Acuna straight up. Keep Goldy/Acuna & move someone else for Harper. What does you're team look like? Goldy and Acuna is far too much. I wouldn't even offer Goldy. 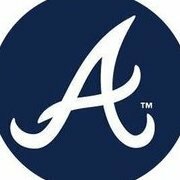 Maybe Acuna or Acuna + another useful piece you don't plan to keep? Its a 4-keeper league, he is probably wanting an overpay, my guess is that the price would be Goldy and Acuna. Because it seems its just a "keep 4" that even though Acuna is young should be cheap, he is essentially the same "keeper cost" as Mike Trout who has been the No.1 overall pick for several years, which is why I like having some value attached to keepers, whether its rounds of a draft or auction pricing. I would probably just stand pat, you already have 2 great outfielders in Betts and Trout, you have SS locked up with Machado and 1B with Goldy. I might offer him Acuna and another piece as some have suggested, it probably wont get it done, but never hurts to throw a reasonable offer out there, but I suspect he is looking for an overpay. I offered Justin Turner and Acuna, he shot it down and said he didn’t know who Acuna was ?